While it might be easy to “blame rock ‘n’ roll”, the birth of rock ‘n’ roll and its takeover of the charts in the 1950s was only one factor in Broadway music’s erosion from the pop charts. No doubt, rock changed American popular music and created a generational gap, but in terms of chartable popularity, rock did more to unify listenership than to divide it. 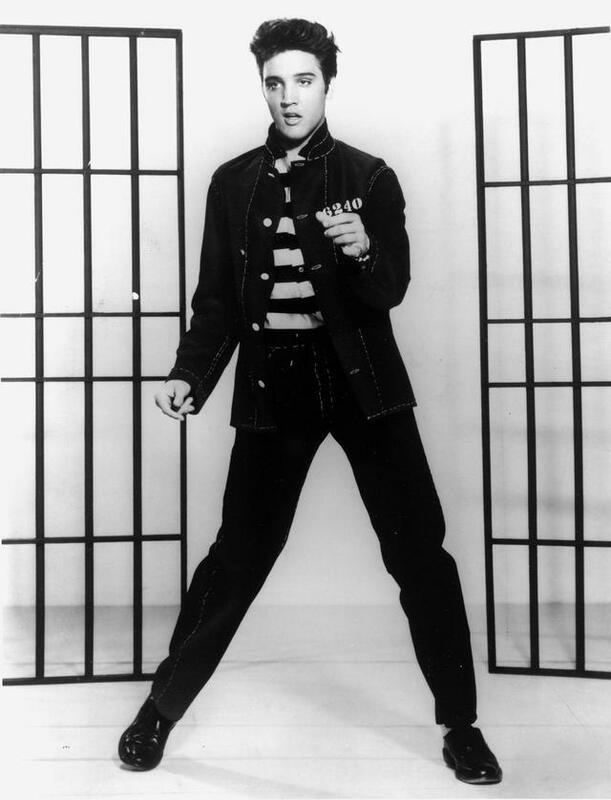 Elvis Presley’s “Hound Dog”/ “Don’t Be Cruel” became the first song in the history of American popular music to attain number one status on all three of Billboard’s major charts in 1956, essentially unifying a disparate listenership. From 1956-1960, rock ‘n’ roll—particularly a young musician named Elvis Presley—provided the most unity of the three charts and therefore of America’s popular musical tastes to date. Elvis Presley’s “Heartbreak Hotel” earned the number one position on both the ‘Best Selling Singles’ and the ‘County & Western’ charts as well as placing high on the ‘Rhythm and Blues’ list in 1956. Later that year, the disc “Hound Dog”/ “Don’t Be Cruel” became the first in the history of American popular music to attain number one status on all three charts (Hamm 126). But this unanimity dissipated in the early 1960s, returning the markets to their former subcultures with two significant differences. First, rock ‘n’ roll remained as a mainstay of the newly-created ‘Hot 100’ which was formerly occupied almost exclusively by the Tin Pan Alley genre. Second, artists who might never have crossed over into other markets were able to find listeners in some cases outside their expected audience. For example, white listeners who found ‘Rhythm & Blues’ music appealing have helped artists like James Brown, Gladys Knight, Stevie Wonder, Aretha Franklin, Marvin Gaye, and Michael Jackson earn spots on the ‘Hot 100’ throughout the 1960s. By and large, however black listeners did not respond as well to music by white performers. Even the Beatles sold poorly in markets that catered to black listeners. Still, from this point on, the ‘Hot 100’ marked song popularity across genres in the US. 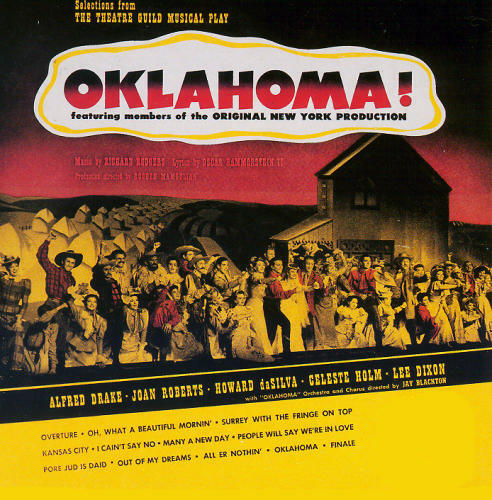 Broadway music itself shifted in significant ways during the 1940s and 1950s thanks in large part to the “Rodgers and Hammerstein revolution.” Starting with Oklahoma! in 1943, their shows made strides towards popularizing the musical in terms of record sales but also made strides away from their playability on the airwaves. While the Tin Pan Alley song form was still alive in terms of the musical structure of Rodgers & Hammerstein songs, the integration of their lyrics to the storytelling started to prove difficult to lift them out of context. 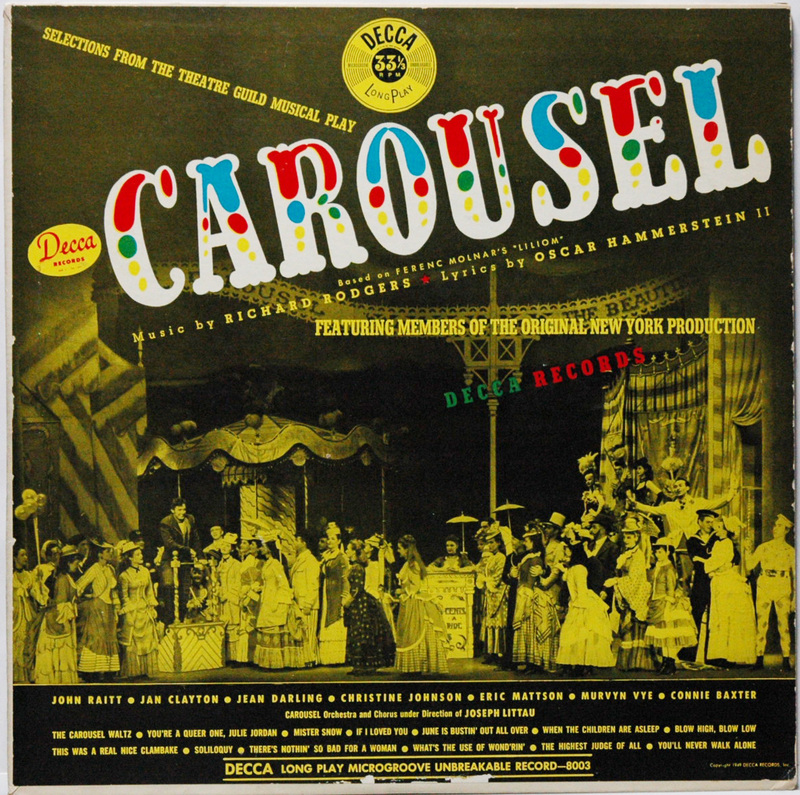 The bench scene in Carousel features luscious music, but the specificity with which Rodgers and Hammerstein were writing their lyrics—not to mention the fluid movement between dialogue and song—didn’t lend for a hit single that could be lifted straight from the score. Later in Carousel, Bill has a seven-minute journey in “Soliloquy,” much too long compared to a three-minute radio song. The integrated style they were innovating was meant to serve the story, not sell singles. This is not to say that Rodgers and Hammerstein were not thinking of record sales. In fact, Oklahoma! boasts the first original Broadway cast recording that included the actual cast with the actual orchestrations—instead of a big band crooner cover of their songs. This was beneficial in bringing the home listener a complete experience of a Broadway show. Sale of cast albums soared. The original Broadway cast recording of South Pacific was the top-selling record of the 1950s. But just as Broadway was innovating towards the album and a means of mass-proliferating its music, radio airplay was trending away from it and towards the single. Following in Rodgers and Hammerstein’s tradition, Hammerstein’s protégé Stephen Sondheim took the integration of score and story even further. What Sondheim then did was to create songs that were so intertwined with story that extracting them for the purposes of making a single became nearly impossible. As Richard Kislan states: “His songs seldom achieve popularity outside the context of their shows because the composer creates material exclusive to context, to the particular characters for whom the songs are written and the specific situation that precipitates the dramatic revelation” (150). He goes on further to explain that these songs “defy transplantation with the tenacity of any vital organ determined to remain in the body for which it was designed.” Imagine “I’m Not Getting Married Today” from Company—a spastic bride’s tongue-twisting tirade on how she is not marrying her fiancé, Paul—on the airwaves. The general population would not understand the frenetic wordplay, would not be able to sing along, and would wonder who this ‘Paul’ is. In his book, The Musical: A Look at the American Musical Theater, Kislan states that the modern theatre song exists to fulfill a dramatic or theatrical function (219). In particular, the composer uses the theatre song to do one or more of the following: project character, intensify emotion, create dramatic images, embody a theme, or suggest time and place. It would seem that if a musical theatre song achieves any of these too successfully, they may have trouble gaining chartable popularity. The debate over popular music’s place on the Great White Way continues to rage; on the flip side of the coin, the Broadway music lovers of the world mourn that they are in an extreme minority. Why? There was a time when popular music and Broadway music were in fact the same genre. Over the course of the next few weeks, we’ll be exploring that time period and also asking what changed the landscape of popular music. The music of Broadway has always been a genre in dialogue with the popular music of the time. In the early part of the twentieth century, theatre-goers could expect to hear the music they found in theatres broadcast on that new device—radio—and conversely, they thrilled to hear their favorite radio and parlor hits sung live onstage. In a not-so-distant era, the music of Broadway was popular music. At some point, however, the homogeneity that existed between popular music and Broadway music began to fissure. At various junctures in musical theatre history, Broadway looked to popular music, but popular music seemed to give little regard to Broadway. One data-driven indicator of the relationship between Broadway and popular music lies in a Broadway song’s inclusion in the ‘Top Forty’ charts. The idea of the ‘Top Forty’ serves as the standard measure for song popularity in the United States, and it stands to reason that any Broadway song that made the charts successfully “crossed over” the genre divide. This paper will first define the parameters for how a song charts and define terminology both in the context of the industry and for use in this paper. After that, the research will investigate several factors of the 1940s and 1950s that changed how music was published, recorded, and distributed and how that affected the chartable popularity of musical theatre songs. Finally, this paper will examine the seven singles that can be classified as musical theatre songs that reached #1 on Billboard’s ‘Top 100’ or ‘Hot 100’ between 1955 and the present and use them to map a musical course through the Rock Era. This paper will use 1955 as a reference point for three reasons: first, Bill Haley and His Comets topped the charts that year with “Rock Around the Clock” which signaled the beginning of the Rock Era; second, the year marked the creation of the ‘Top 100’ which merged several disparate music charts into one; third, the musical theatre was in its own ‘Golden Age’ with giants such as Rodgers and Hammerstein and Frank Loesser dominating the landscape. Given these three aims, this research will describe the relationship between Broadway music and popular music from 1956 until today. Let’s first define ‘Top Forty.’ In one regard, the top forty (lowercase ‘t’, lowercase ‘f’) is an idea. It is a radio programming principle created to feature only the most popular music content. 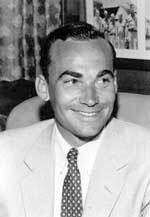 Following World War II, an Omaha-based record executive developed the format. Radio programming of the time consisted primarily of national programming distributed to local affiliates. In the late 1940’s, radio programming shifted to include an increasing amount of recorded music (using long play records, or LPs) as opposed to live programming (featuring a house band) which had been the norm in the 1930s and early 1940s (Peterson 112). In addition, new record technologies following the war created a smaller vinyl record meant to include two single songs. The “45” proved to be a cheap way for most Americans to consume music as well as a way to program for a broadening radio listenership. Mark Stolz, Omaha-based radio music director who–as the story goes–invented the ‘Top Forty’ as a programming principle after an incident at a diner. As radio industry lore goes, the invention of the ‘Top Forty’ can be traced to Omaha, Nebraska. While at a diner in 1954, a radio music director named Mark Stolz and one of his disc jockeys became increasingly annoyed with a waitress who kept putting money in the jukebox to play the same two songs repeatedly. Despite the frustration, he observed that this woman was voluntarily spending her own money for this very specific niche of the market. After that, Stolz began playing exclusively songs that the trade magazine charts showed were hit singles. His station’s popularity skyrocketed, and the formatting principle took hold in other major radio stations across America. The term ‘top forty’ evolved as a result of this highly focused playlist that included roughly the top forty or so of the hundred songs from the weekly industry magazines (Peterson 113). For the sake of clarification, the ‘Top Forty’ (capital ‘T’, capital ‘F’) can also serve as reference to a very specific radio program: American Top 40. This internationally syndicated, independent song countdown is also known as AT40. 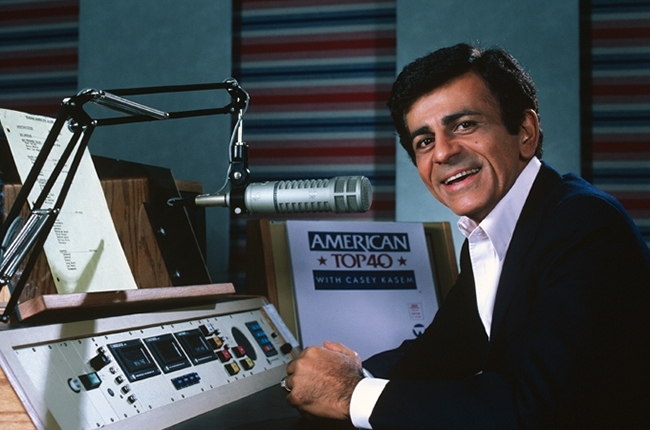 Long-time host Casey Kasem created the radio program along with Don Bustany, Tom Rounds, and Ron Jacobs in 1970. As opposed to ‘top forty’ programming as a guiding principle, the radio show exclusively uses the top forty songs of the week and counts down to the number one song. Distribution of this program now resides with Premiere Radio Networks although the show was originally a production of Watermark, Inc., a division of ABC Radio. Though Kasem is most recognized with the program—two different vintage shows from the 70s and 80s are still aired weekly—Ryan Seacrest has served as the host since 2004. Originally, AT40 used the Billboard charts to determine what songs made the countdown but in 1998 switched to Radio and Records, a now-defunct trade magazine competitor to Billboard. Currently, AT40 uses Mediabase to determine their list; Mediabase is a music industry service that monitors radio station airplay for both terrestrial and satellite airplay. Despite the varied definitions, abstractions, and sources of the ‘top forty,’ this paper will derive its findings from the data published by Billboard. 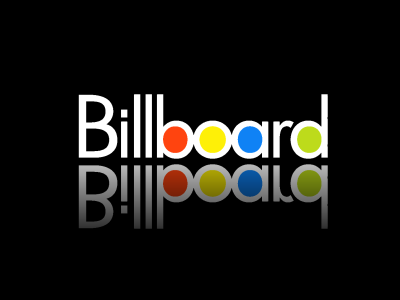 Billboard magazine is the industry standard for charting song popularity. Aside from being among the oldest trade magazines in the world—it was first published in 1894—the lists they currently produce give a ranking of both top song and top album regardless of genre. While its history includes an assortment of lists—some of which are relevant to this investigation—the rankings that span genres will be the most useful in comparing musical theatre songs. Without trying to add confusion, Billboard does not actually publish a ‘top forty.’ Billboard does, however, publish the ‘Hot 100.’ That term has served as the primary chart of the top one hundred songs across all genres each week since August 4, 1958. Billboard uses data collected by Neilsen SoundScan which tracks song popularity based on digital download sales, radio airplay, and internet streaming. Billboard has used Neilsen Soundscan since 1991. The ‘Hot 100’ is in itself a merging of several previously published lists. 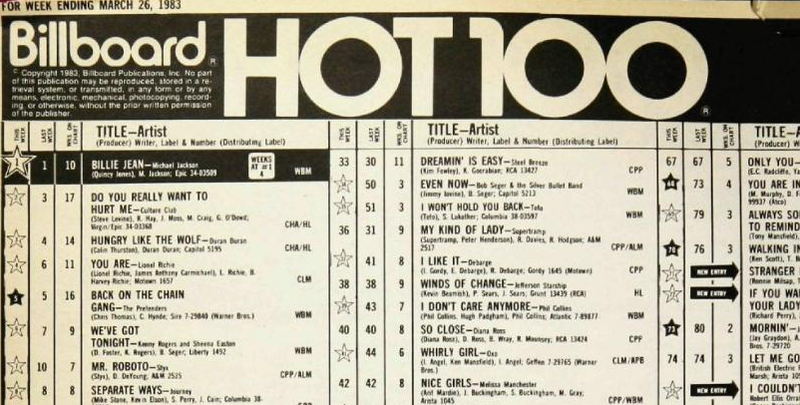 The ‘Top 100’ was the immediate predecessor to the ‘Hot 100’ and tried to combine all aspects of a song from three other lists: Best Selling Singles, Most Played by Jockeys, and Most Played in Jukeboxes. This iteration lasted from November 12, 1955 until the creation of the ‘Hot 100’ in 1958. In the chronology of definitive lists, the previous list to the ‘Top 100’ the list called ‘Best Selling Singles’ (Hamm 126). Here again, Billboard’s term requires a bit of explanation. Though Billboard currently tracks and reports lists in genres ranging from gospel to Latin to pop, prior to 1955, chartable music fell into one of three distinct categories: Best Selling Singles, Race Records, and Country & Western (Hamm 126). The existence of these three provide a picture of the state of affairs of not only the music publishing business, recording industry, and radio airplay practices of the 1940s, it even allows an accurate glimpse of the racial boundaries of America during that time. The ‘Best Selling Singles’ list included all of the music of Tin Pan Alley—a mostly white, Jewish set of composers, many of whom came from immigrant backgrounds and lived in New York City. The music on the ‘Best Selling Singles’ primarily appealed to urban whites. The ‘Race Records’—later called ‘Rhythm & Blues’—list charted blues players and black jazz and gospel musicians. The music appealed mostly to blacks, both urban and rural. The ‘Country & Western’ list included folk and bluegrass artists. This music appealed primarily to rural whites. Between these lists, crossover for both performer and listenership was rare. Broadway music fell squarely into the category of ‘Best Selling Singles.’ Audiences found music across markets to be hard to relate to: consider a rural, white farmer listening to the upper class problems in a Cole Porter song, for example. The musical camps of the early part of the last century had drawn their lines. Then along came rock ‘n’ roll. UP NEXT: Part II—The Changing Face of the Charts in the 1950s includes the earliest tensions between the music of Tin Pan Alley and that of rock ‘n roll.